I was chosen by the British Library's 'Writing On Location' project as one of the small team of writers to work with the literary houses all over Britain. 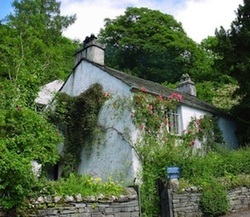 Based at the William Wordsworth Museum in The Lake District, I ran sessions for secondary school teachers on how to get the best out of a visit to a literary house. Secondary schools in the area were targetted because the museum has always struggled to get older pupils to come along, despite being inundated with visits from primary schools. See the full article about my work in NAWE's excellent Writing In Education magazine. This issue also includes the reports from all the other literary houses included in the project.